We all have a tendency to look into ourselves and behold the paradigm by which intelligence should be measured. Descartes noted this is in the marvellous opening sentence to his A Discourse on Method – which states, on the topic of intelligence, “everyone thinks himself so abundantly provided with it”. We start from our own case, and then, very often, find fault with others. Because we don’t understand them, in the way we understand ourselves, we judge them to be unintelligent. One of the most stimulating aspects of the thinking of Alan Turing was his attempt to shake us out of this, very individualistic, way of understanding intelligence. The judgment that something does or does not possess intelligence should not depend on how far I can empathise with that something: how far it resembles me. Turing urges that we should judge the intelligence of something principally on the basis of what it does. Intelligence is an ability to do something and whether or not something has that ability should be decided on what that something does: how it responds to specific problems and difficulties. We might illustrate Turing’s attempted innovation with the following example. Are human beings intelligent? If we start from the position with which Descartes begins A Discourse on Method, we will probably proceed in the following manner: I have intelligence and what is like me can also be said to have intelligence; other human beings are, of all other things, those which most closely resemble me, therefore human beings have intelligence. But if we locate intelligence as a capacity to meet and deal with difficulties that are life threatening, and then consider the history of human behaviour, it will not automatically follow that we conclude that human beings have intelligence. Now of course there is the temptation at this point to insist: but, only something that is like me – with my inner consciousness – will have the capacity to perform the behaviour that is judged to be a sign of intelligence. The essence of intelligence consists in the inner core, that is present in myself and things that resemble me, not in the external behaviour. Outward behaviour is not sufficient to convince that the candidate is genuine. This insistence, whilst a very real aspect of how many humans negotiate the world, is, if we stand back just a little, shocking. Something performs the action perfectly satisfactory, but yet we still insist there is something lacking. For it is said that whilst this thing is solving problems and passing behavioural tests, it is not sufficiently like me, in my inner core, to be judged intelligent. One can well imagine the outrage of those candidates, who whilst they pass all the tests, nevertheless are rejected because they do not sufficiently resemble those who set and manage the test. At this point the inner definition of intelligence seems to come to no more than an excuse for prejudice and discrimination. The standard response, in the face of this problem, has been to maintain that there is a species of behavioural reactions, which could only be produced if the candidate possesses an inner subjectivity that is very similar to my own. This is the assumption that the proper use of language, in the manner of an oral examination, is held to be an infallible sign that the speaker has a self-consciousness like mine, and therefore can be judged to possess intelligence. In the case of language use, there can be no prejudice. If the candidate is using language properly then it because he or she possesses an inner subjectivity like mine; for it is only inner subjectivity that can master a language. This view was held by Descartes and a very influential version of it has been championed in recent times by Noam Chomsky. It is precisely against this view that Turing launches his most famous innovation – what we now call ‘The Turing Test’. He maintained that it is quite conceivable that a candidate might use language in a way that was indistinguishable from human beings, and yet not posses inner subjectivity. The issue, for Turing, should be decided empirically. Can computer programmers write lines of code, which when run on a computing machine, produce a use of language that is indistinguishable from a human native speaker of that language? 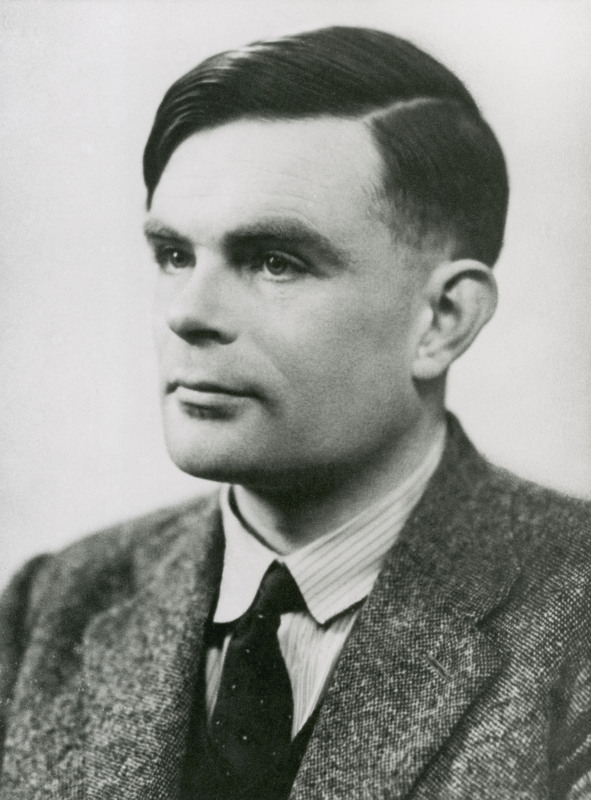 For Turing, if the test was to be passed, then it would not show that computers have an inner subjectivity just like human beings (this way of interpreting Turing has inspired many stories in science fiction), but it would clearly demonstrate that it is not the case that proficient language use is only possible if the speaker possess an active inner subjectivity. Computers do not have self-consciousness, and yet they can talk. Turing does not try to persuade us that computing machines have a subjectivity (or, that human subjectivity is nothing more than a computing machine). Rather, what he tries to make us reflect on is: how we think about intelligence. The assumption that only what is like me can conceivably possess intelligence is pernicious and foolish. Most of us probably would grant that, in spite of much evidence to the contrary, there is such a thing as human intelligence. But this should not lead us to embrace the dogma: human self-consciousness is the only form of intelligence. Look at what things are doing, their accomplishments, not at how closely they resemble you.